Our FAQ section is where you’ll find the answers to your questions regarding nursing home abuse. We provide valuable information that can help you decide how to hold the person or facility responsible for the abuse or neglect of your loved one. If the answers you need are not there, feel free to call us with any questions you have. Are Louisiana nursing homes and long-term care facilities allowed to use restraints? The use of restraints in nursing homes and long-term care facilities is controversial. While restraints do serve a purpose in certain circumstances, many experts believe they are overused. If your loved one is being inappropriately restrained, you may have a valid Louisiana nursing home abuse claim. The term chemical restraints is used to refer to sedatives and other medications given without a legitimate medical reason as a form of discipline or convenience for caretakers. Restraints can also cause severe emotional trauma for the person being restrained. Nursing home or long-term care facility residents who have been restrained often report feelings of shame, embarrassment, anxiety, and fear. They may also view the use of restraints as violating their right to dignity and independence. In some cases, restraints have been linked to an increased risk of accidents. This may include falls, head trauma, entrapment, or strangulation when a resident attempts to escape a restraint in an unsafe manner. Louisiana's Department of Health & Human Services and Centers for Medicare & Medicaid Services states that restraints may not be used for staff convenience. Convenience is defined as "any action taken by the facility to control a resident's behavior or manage a resident's behavior with a lesser amount of effort by the facility and not in the resident's best interest." However, if a resident requires emergency care, restraints are allowed for brief periods as necessary for medical treatment to proceed—unless the resident has previously made a valid refusal of the treatment in question. If a resident is not able to make a refusal, a legal surrogate such as a spouse or an adult child can state preferences regarding care. In the event of unanticipated violent or aggressive behavior, a resident or his legal surrogate does not have the right to refuse the use of restraints. Restraints are allowed as a measure of last resort to protect the safety of the resident, caretakers, or others at the facility, as long as the restraint usage does not extend beyond the immediate behavioral episode. Problems with the care your loved one is receiving should first be addressed with the facility administration. However, if you don’t believe the administration is responsive to your concerns, you should consult an attorney to learn more about filing a nursing home abuse claim. A nursing home abuse claim is a type of civil legal action seeking monetary compensation for medical expenses related to the abuse and the physical and emotional pain and suffering the resident experienced. Punitive damages may be available in some circumstances, as well. Louisiana's statute of limitations allows you one year to file a nursing home abuse claim. However, since supporting evidence may become more difficult as time passes, it's recommended that you take immediate action. Because nursing home abuse cases can be quite complex, retaining the services of an experienced attorney is the best way to ensure your rights are protected. Contact us online or call our office directly at 318.541.8188 to schedule a free, no-obligation initial consultation with Neblett, Beard & Arsenault's dedicated legal team. How does a nursing home end up on Medicare’s Special Focus Facility List? Nursing homes that accept Medicare and Medicaid payments are required to be inspected regularly by representatives of the Centers for Medicare & Medicaid Services (CMS). If you believe your elderly loved one has suffered harm due to nursing home abuse or neglect, the results of these inspections may be valuable evidence in your case. A nursing home that is on the Special Focus Facility (SFF) List may have deficiencies that placed your loved one in unacceptable danger. Typically, inspections are conducted yearly to determine if a nursing home is providing the quality of care legally required for continued participation in the Medicare and Medicaid programs. These inspections are very thorough. It is normal for a nursing home to have six to seven deficiencies on each survey. Nursing homes are allowed to take care of their issues within a reasonable timeframe, which is then verified by a follow-up inspection. The nursing home will be shown to have made significant and sustained improvements. As a result, the facility will graduate from the SFF program. The nursing home is determined to have made progress but is granted additional time to continue with its improvement program. The nursing home’s participation in the Medicare and Medicaid programs will be discontinued due to its continued failure to provide quality care. When this happens, the facility often closes shortly after, and residents receive assistance from the State Medicaid Agency to move to another facility. If your loved one has been a victim of nursing home abuse, the SFF List may be used as evidence in your case. Reviewing the results of surveys can establish that the nursing home knew of a violation and failed to correct it within a specific time frame. The survey can also help determine if the facility had a history of “wishy-washy” compliance—making the bare minimum improvements to pass a follow-up inspection and then failing the subsequent inspections. Hiring an experienced attorney is the best way to protect your legal rights in a nursing home abuse case. Your attorney can document damages, establish liability, and negotiate on your behalf, so you are free to focus on providing your loved one with the necessary care and support. Neblett, Beard & Arsenault has extensive experience helping Louisiana residents obtain justice for their elderly loved ones who have been victims of nursing home abuse. Contact us online or call our office directly 318.541.8188 to schedule a no-fee consultation. When is weight loss a sign of nursing home neglect? Although weight loss isn't automatically an indication of nursing home neglect, changes in a loved one's weight should always be taken seriously. If you're worried about your loved one, seek a medical evaluation and consult a nursing home abuse attorney to learn more about your legal options. Appetite tends to decrease as people age, especially when they also suffer from depression. Aging affects perception of taste and smell, which makes eating less enjoyable. Medications commonly taken by the elderly may cause gastrointestinal upset. Swallowing disorders caused by dementia or stroke can compromise the ability to eat without choking. Dentures that don't fit properly can make eating foods physically difficult. Cognitive impairments and/or tremors can make it impossible for residents to feed themselves. Due to these risk factors, elderly individuals often require a specialized diet and extra attention to make sure they are eating properly. When they do not receive the attention they need, malnutrition can result. Malnutrition is dangerous because it can decrease the effectiveness of the immune system, making an elderly person vulnerable to illnesses. Malnutrition can also cause weakness that increases the risk of falls and other injuries. Malnutrition is often accompanied by dehydration, which can lead to a number of dangerous complications such as seizures, blood clots, kidney failure, and hypovolemic shock. You can tell if a senior is dehydrated by gently pressing on the skin of the forearm or forehead with your index finger and thumb. Skin that maintains a pinched appearance instead of returning to normal momentarily indicates the person is dehydrated. A facility with high turnover may have staff members who do not know a resident's specific dietary requirements. Understaffing may leave a resident who is unable to self-feed without the necessary assistance. Improper training can cause staff to ignore the signs of malnutrition or to be unsure of how to coax someone to eat. Frustrated or overworked staff members may cut corners and not allow enough time for a resident to eat properly. Ideally, a nursing assistant should be responsible for no more than three residents during mealtimes. However, since there are no federal laws that set minimum staffing requirements for nurses' aides, it's not uncommon for a single individual to supervise as many as 15 residents during mealtime. If you believe your loved one's weight loss indicates improper care, you should first discuss your concerns with the facility administrators. If the issue is not resolved to your satisfaction, seek an independent medical exam, and contact a nursing home abuse attorney to learn how to protect your loved one's legal rights. A nursing home abuse claim is a type of civil action that allows you to seek compensation for medical expenses related to the abuse, as well as any pain and suffering your loved one has experienced due to the actions of his caregivers. If your loved one has died due to malnutrition linked to improper care, you can seek wrongful death compensation for medical expenses up to the time of death, pain and suffering, and funeral and burial costs. In some cases, punitive damages may also be available. Neblett, Beard & Arsenault's award-winning legal team is dedicated to helping Louisiana residents obtain justice for their elderly loved ones who have been harmed by nursing home neglect. Contact us online or call our office directly at 318.541.8188 to schedule a free, no-obligation initial consultation. What are OBRA standards, and how do they relate to my case? Many different types of evidence can be used in a claim for nursing home abuse, including violations of OBRA standards. Retaining an attorney is the best way to learn what type of evidence will help you build a solid claim for compensation. The Omnibus Budget Reconciliation Act (OBRA), also known as the Nursing Home Reform Act of 1987, is federal legislation that sets standards for nursing home care and is interpreted within the U.S. Code of Federal Regulations (42 CFR Part 483). The legislation was signed on December 22, 1987 by President Ronald Reagan after the United States Senate Special Committee on Aging conducted extensive investigations into the quality of care seniors were receiving in long-term care facilities across the country. The law's impact was seen immediately. 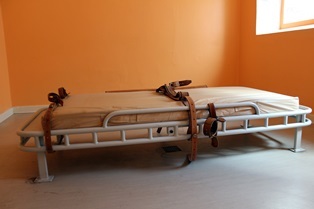 Facilities were required to eliminate physical or chemical restraints unless they were medically necessary, avoid the routine prescribing of antidepressants, and improve monitoring of medication therapy. Today, individual states are responsible for certifying that their nursing homes meet OBRA criteria. To certify facilities, states must conduct extensive surveys no more than 15 months apart that include multiple resident interviews. If a specific complaint has been filed against a facility, a targeted survey must be conducted as part of the investigation. Nursing homes that don't meet OBRA standards aren't allowed to participate in Medicare and Medicaid programs. They also face heavy fines, the appointment of temporarily assigned facility managers, or the permanent closure of their facilities. Specific penalties are determined by the nature and severity of the violation. In some cases, facilities are given a chance to correct the issue before a penalty is assessed. OBRA outlines the minimum level of accepted care for nursing home residents. If a nursing home violates OBRA standards and this violation is linked to your loved one's injuries, you have a valid nursing home abuse claim. In this type of civil action, you can seek compensation for medical expenses related to the abuse and any pain and suffering your loved one has experienced. If your loved one has died due to improper care, you can seek wrongful death compensation for medical expenses and pain and suffering up to the time of death, as well as funeral and burial costs. Punitive damages may also be available, depending on the circumstances. Retaining legal representation is the best way to protect your loved one's rights throughout the process of resolving your claim. The award-winning attorneys at Neblett, Beard & Arsenault are dedicated to helping Louisiana residents obtain justice for their loved ones who have been harmed by nursing home abuse. Contact us online or call our office directly at 318.588.6303 to schedule a free, no-obligation initial case review. 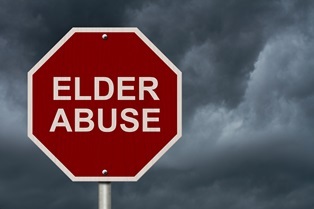 How can I get my elderly parent to talk to a nursing home abuse lawyer? The recommended first step in any nursing home abuse claim is talking to a lawyer with experience in handling these types of civil actions. 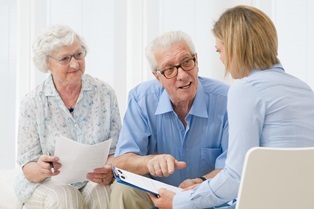 However, your elderly parent may be reluctant to speak to an attorney. In this instance, understanding your parent’s specific reasons for objecting and educating him about the process is the best approach. Stress that they did nothing wrong. There is no need for your loved one to feel shame or embarrassment because of the actions that have occurred. 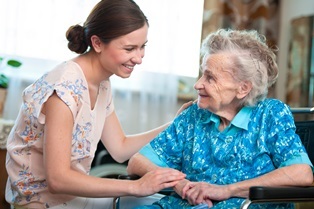 Nursing home staff have a professional obligation to assist residents, much like doctors have a professional duty to provide appropriate care for their patients. Abusive behavior violates this expectation and is never acceptable under any circumstance. Offer to attend the meeting for moral support. If your parent has not been involved in legal action previously, he may be nervous about understanding the process or worried about being taken seriously. Planning to attend the meeting together may offer him some comfort. Explain that nursing home abuse comes in many forms. Some residents may be reluctant to come forward if they believe that only physical abuse is against the law. Letting your parent know that verbal abuse, sexual abuse, medication theft, misuse of financial resources, and neglect related to understaffing are also against the law may help him see the situation in new light. Outline what compensation is available. A nursing home abuse claim can include compensation for medical expenses as well as pain and suffering. 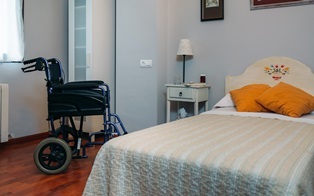 Punitive damages could also be received if there is a pattern of particularly severe neglect or a pattern of disregard for the safety of residents in the nursing home. Depending on the circumstances, your parent's testimony may also be used in a criminal case or an administrative action against the people involved in the abuse. These issues are separate from the nursing home abuse case, however. Explain that taking action can help protect others. Generally, nursing home abuse doesn't occur in a vacuum. If one resident is being mistreated, it's likely that others are, too. Let your parent know that his case could force the implementation of policies that could protect others from suffering similar abusive treatment. Point out there is no upfront cost. 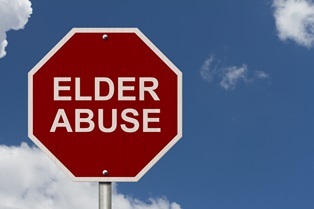 Nursing home abuse cases are a type of personal injury claim. Thus, lawyers work on a contingency fee basis. This means, they accept a percentage of the settlement as the fee for representation instead of asking for upfront payment. If the case can't be resolved, there is no charge. Nursing home abuse is against the law regardless of a resident's physical or mental limitations, but cases involving people with dementia can be more difficult. Your parent can still testify, but supporting evidence such as medical records, bank statements, or testimony from witnesses will also be needed. If your parent's condition has reached the point where he can no longer understand the legal process of filing a claim, a guardian ad litem will be needed. This is a person, normally a spouse, adult child, or other family member, who files the claim on the victim's behalf and makes decisions to protect his best interests. Neblett, Beard & Arsenault's legal team is dedicated to helping Louisiana residents obtain justice for their loved ones who have been the victims of nursing home abuse. Contact us online or call our office directly at 318.588.6303 to schedule a free, no-obligation initial consultation. Is aspiration pneumonia a sign of nursing home neglect? The general public may be unfamiliar with aspiration pneumonia, but this is a serious illness that can compromise a senior's fragile health. If your loved one has recently been diagnosed with aspiration pneumonia, this may be a sign of nursing home neglect. Aspiration pneumonia can be diagnosed with a chest X-ray, CT scan, blood test, sputum culture, and/or barium swallow. Patients can be treated with antibiotics to kill the infection and steroids to reduce swelling in the lungs. Extra oxygen may be needed during the recovery process. Aspiration pneumonia can be fatal if the condition is not properly treated. In the vast majority of cases, aspiration pneumonia is a preventable condition. If a resident is determined to be at high risk for developing aspiration pneumonia, there should be a care plan in place to take all appropriate safety precautions. If you believe your loved one may be a victim of nursing home neglect, you should first discuss your concerns with the facility administrator. If the issue is not resolved to your satisfaction, an experienced nursing home abuse attorney can help you take legal action. 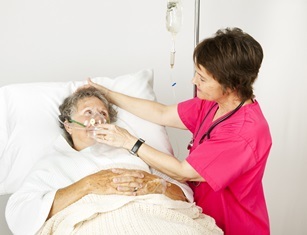 A nursing home neglect claim can include compensation for medical expenses related to care of aspiration pneumonia and associated complications as well as pain and suffering. 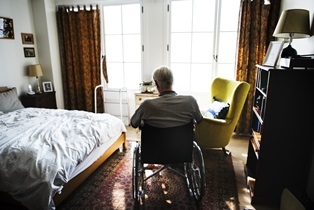 Punitive damages, while not awarded in all cases, could also be received if there is a pattern of particularly severe neglect and disregard for the safety of elderly people left in the care of the nursing home. If your loved one has died as the result of aspiration pneumonia, you may be able to receive compensation for funeral and burial costs and the loss of your loved one's care and companionship. Neblett, Beard & Arsenault's legal team has extensive experience helping Louisiana residents obtain justice for their loved ones who have suffered harm due to nursing home neglect or abuse. Cases are accepted on a contingency fee basis, which allows to you obtain quality legal representation without worrying about out-of-pocket payments. Contact us online or call us directly at 318.588.6303 to schedule a free, no-obligation initial consultation. What are my legal rights if my loved one died of dehydration in a nursing home? 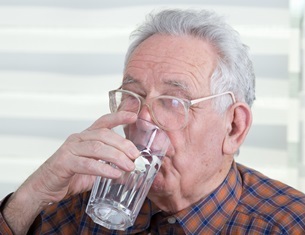 Dehydration is a common problem among nursing home residents, since many serious illnesses can interfere with person's natural desire to stay hydrated. However, nursing home staff members have a legal obligation to monitor residents for signs of dehydration and to take action before serious harm results. If your loved one died in a nursing home due to dehydration, you may be able to file a wrongful death claim against the facility. Studies estimate that at least 31% of nursing home residents suffer from some form of dehydration, which makes watching for signs of inadequate fluid intake a vital part of basic care a facility must provide. When dehydration is not treated promptly, it can cause seizures, kidney failure, brain swelling, and coma. These complications are often fatal in elderly individuals who are already in poor physical health. Dehydration often occurs in residents who are malnourished, which can cause additional health problems and increase the risk of fatal complications. Nursing home staff members have an obligation to monitor the health of residents and to provide the assistance necessary for eating and drinking. If the nursing home fails to meet this obligation due to understaffing or gross neglect, this can be the basis of a wrongful death claim. A wrongful death claim is a type of civil action alleging that someone's death was the fault of another person or corporation. It is separate from any criminal charges related to the death, although evidence from a criminal case can be used to support a claim of negligence in the wrongful death claim. Only certain family members can file a wrongful death claim. In cases involving nursing home residents, the surviving spouse or adult children are typically the ones who must file the case. If there is no spouse or adult children, the surviving siblings or the estate of the deceased person must file the claim. There is a one-year statute of limitations in Louisiana for filing wrongful death claims, so it's important to act quickly if you want to take legal action regarding the death of your elderly family member due to dehydration. The longer you wait to seek legal representation, the more difficult it will be to locate the evidence necessary to win the wrongful death claim. The dedicated legal team at Neblett, Beard & Arsenault has extensive experience handling both nursing home abuse and wrongful death claims. We can locate evidence of negligence, document damages, and negotiate on your behalf for the highest possible settlement. Filing a wrongful death claim won't bring your loved one back, but the process can provide a sense of closure and help to ensure that other vulnerable nursing home residents won't be subjected to similar mistreatment. Contact us online or call us directly at 318.588.6303 to schedule a free, no-obligation initial consultation. Is patient dumping a form of nursing home abuse? Patient dumping is not discussed as often as other forms of nursing home neglect, but it can cause serious harm. This practice can lead to a lack of necessary medical care as well as great psychological trauma. For this reason, victims of patient dumping are entitled to monetary compensation via a nursing home abuse claim. Unscrupulous nursing homes are trying to illegally evict residents in order to maximize profit. Patient dumping victims are often those who require the most staff time and the highest levels of care. By illegally evicting these residents, a facility is free to offer beds to new residents who will use fewer company resources. Medicaid recipients are also vulnerable to patient dumping due to Medicaid low reimbursement rates. By replacing Medicaid patients with those who can pay for their care with private, long-term care insurance or their own personal resources, the facility is able to maximize profit with a minimal amount of effort. The nursing home is closing its doors and will no longer be in business. The resident's presence is endangering the safety of individuals in the facility. The resident's presence is endangering the health of individuals in the facility. The resident's health has improved to the extent that he no longer needs the services provided by the facility. The resident's condition has changed, and the facility is no longer able to meet his care needs. The resident has failed to pay for his stay at the facility, despite having received reasonable and appropriate notice of the charges. If a facility wishes to evict a resident, the reason for eviction must be specifically documented, and the appropriate parties must be contacted to ensure that the resident's future care needs will still be met. Patient dumping can occur alongside other forms of nursing home abuse, including physical abuse, verbal abuse, medication theft, or understaffing. Talking with your loved one as well as other family members and visitors to the facility can help you determine if there are additional concerns regarding the quality of care that your loved one has received. A nursing home abuse claim is a type of civil proceeding that requests compensation for medical treatment and pain and suffering related to the actions of the care facility. However, if your loved one is currently receiving Medicaid or Medicare benefits, these programs will have a lien on a percentage of any settlement that you recover. Based on the terms of the facility contract, the nursing home had a legal duty to provide care to your loved one. The nursing home failed to provide an acceptable level of care to your loved one. As a result of the nursing home's actions, your loved one suffered specific damages. This can include the worsening of a pre-existing medical condition or psychological distress due to being illegally evicted from the facility. Retaining the services of an experienced nursing home abuse attorney is the best way to protect your loved one's legal rights. The dedicated legal team at Neblett, Beard & Arsenault can locate evidence of negligence, document damages, and negotiate for the highest possible settlement. Contact us online or call us directly at 318.588.6303 to schedule a free, no-obligation case review.